Do you have those moments that just barely stick out in your memory and only upon reflection do you realize how much that moment ended up shaping you? 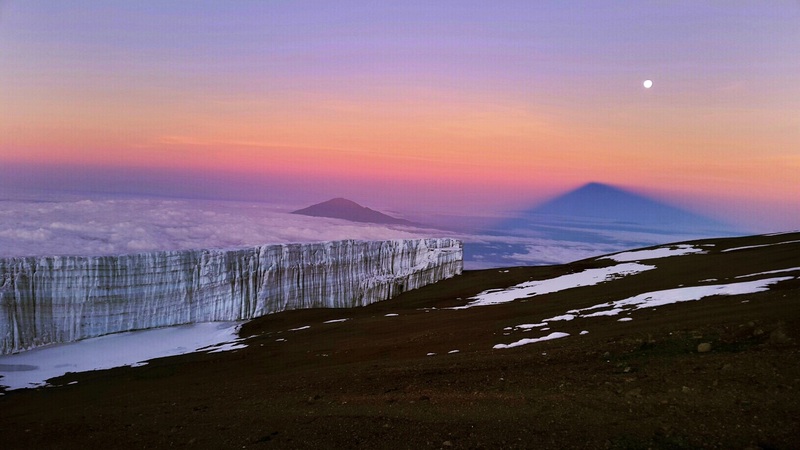 Watching the IMAX film about Kilimanjaro is one of those moments for me – believe that is when I caught the travel bug and Kili became the first thing on my Wanderlist (even before I knew what a Wanderlist was). So years after seeing the film and after months of preparation, I am finally set to go to Tanzania, Africa. And in the beginning, we are headed out for seven days to the roof of Africa and to see the snows of Kilimanjaro before they are gone, forever. 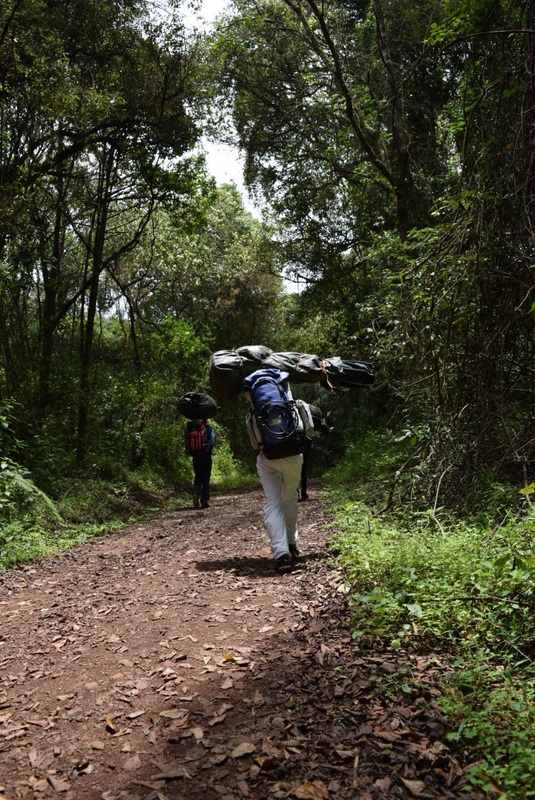 After the gear is weighed and our paperwork is completed, we are finally ready to head out on the Machame-Mweke Route! The motto for the day and the entire trek: Pole, Pole and slowly, slowly is how the trips starts with a rather long wait at the gate and how we will proceed. The starting altitude is 5,970 ft and it is a rather gentle the first forty minutes and the next hour is a tad steeper but aided by man-made steps. This part of the hike is through rain forest regions of the mountain and I am amazed by how green and lush everything is. 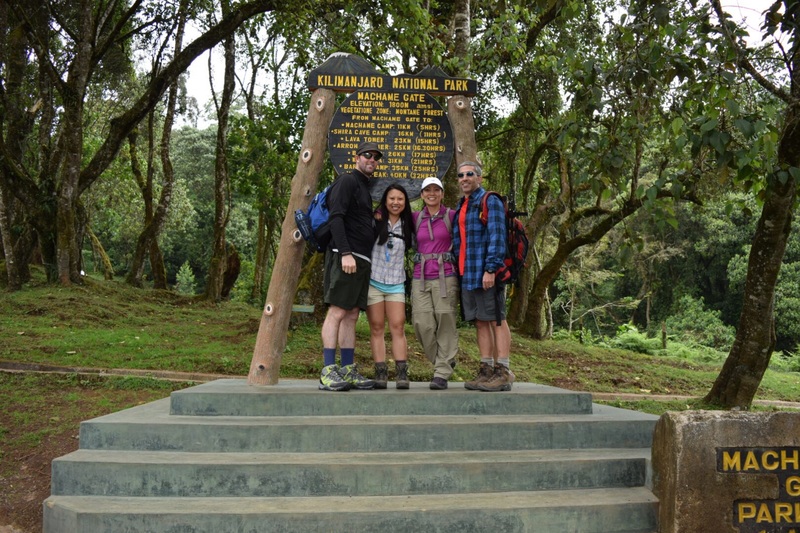 We break for lunch and that is when I realize how nice we really will have it on this trek…we have a sit down, buffet-style lunch, a selection of hot and cold drinks, and best of all, a private toilet tent with a porta-potti. The porters were finishing packing their kit bags while we started the hike, passed us on the trail and had everything ready and waiting for us. To be perfectly honest, the “climb” is really just a day hike with a light pack with the porters carrying everything else (sleeping tents, dining tents, table, chairs, food, the rest of our stuff, etc) up that we would need for the trek. 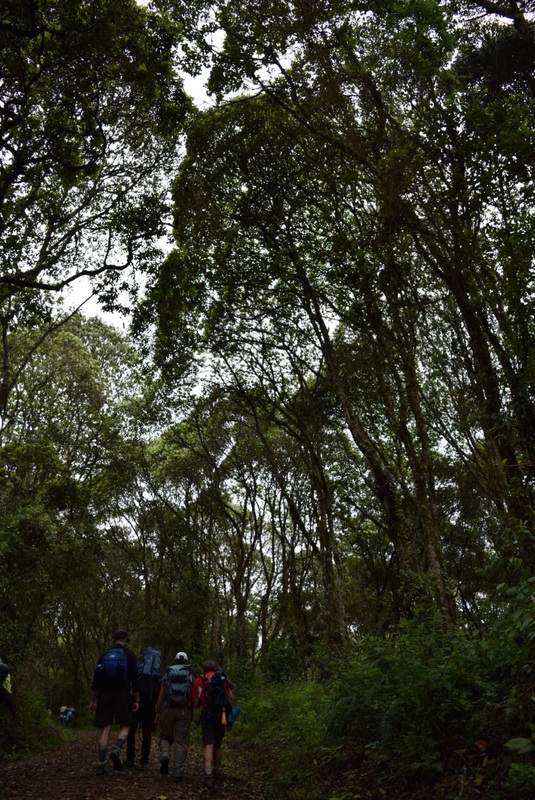 So we continue on reach the Machame Camp elevation 9,973 ft (3.040 m) and the porters again had everything ready for us after we had signed in including snacks and drinks. We have time to relax and get our gear prepped for tomorrow and then are called to the first of many impressive meals cooked for us on the mountain. Night falls quickly and with no light pollution, the Milky Way beckons to be photographed …this is the part where I realize how much work there is needed to improve my photography skills. Fail: unsuccessful attempts of night sky capture. As I am alone in the darkness and admiring the starry sky, it sinks in that I am really on Mount Kilimanjaro and every step is one step closer to seeing those glaciers and that summit that have haunted my subconscious for so long…but even the porters have gone to their tents by now, so I should probably get some sleep and head into my own tent. Previous Post About Me: Life, Love, Travel & the Pursuit of….